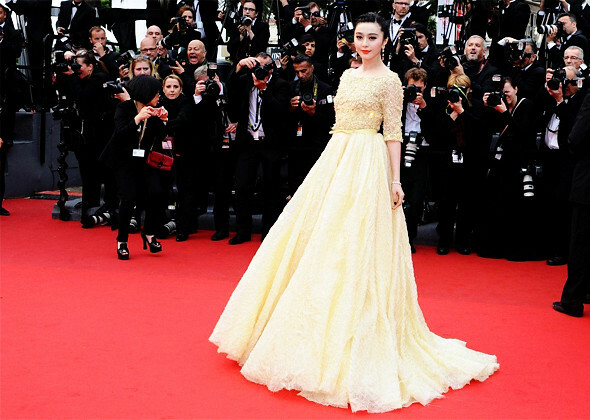 Chinese actress, Fan Bing Bing (范冰冰) stepped out in an embellished long-sleeved dress from Elie Saab Spring 2013 Haute Couture collection to the photocall of 'Skiptrace' held during the 66th Cannes Film Festival on May 16, 2013. Accessorizing her look with a pair of open-toe pumps. Later the day, she walked the red carpet of 'Jeune et Jolie' premiere in a beautiful yellow embellished ball gown from Elie Saab Spring 2012 Haute Couture collection. Chopard jewels, silver clutch and an orange lip to complete her look. 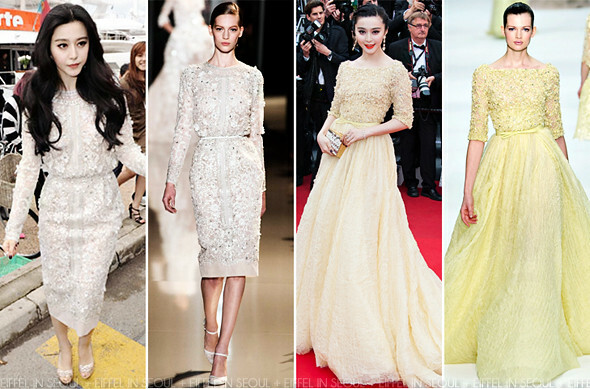 The Elie Saab and Fan Bing Bing (范冰冰) combination always works. However, it does seem like we've seen this quite a number of times before. I do hope she has a spectacular dress coming up.